Creator of the Mohan Veena and the winner of the Grammy Award, Vishwa Mohan Bhatt has mesmerized the world with his pristine, delicate yet fiery music. The disciple of Pt. Ravi Shankar, Vishwa Mohan belongs to the tradition of Moughal emperor Akbar's court musician TANSEN and his guru the Hindu Mystic Swami Haridas. Vishwa Mohan has successfully Indianization of the Western Hawaiian guitar with his perfect assimilation of sitar, sarod & veena techniques. He has performed in USA, USSR, Canada, Great Britain, Germany, Europe, Dubai, Al-Sharjah, Bahrain, Muscat, Abu Dhabi etc. 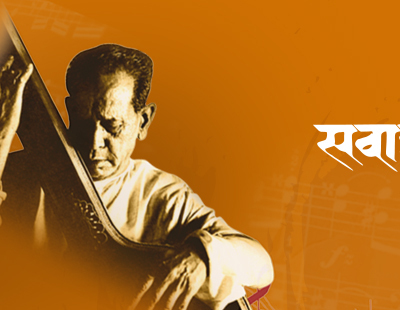 Sawani was amidst rich musical notes, right from childhood. She had her father Pandit Sanjeev Shende and grandmother Smt. Kusum Shende of the Kirana Gharana as her gurus. She perfectd an array of Ragas, Taan patterns and Taranas under the guidance of Dr. Smt. Veena Sahastrabuddhe, a noted classical vocalist from Gwalior Gharana. Her rendition of semi-classical genres highlights the emotive and expressive quality of Indian classical music. Sawani's confidence and mastery in Khayals, her crystal clear diction and sensitivity in presentation takes her performance to a high aesthetic level. Classical Vocalist and distinguished scholar Vidushi Uma Garg was born into a Bengali family of musicians. She was trained under her mother, Late. Smt. Asha Lata Das, Late. Sri S.D. Apte, Late. Dr. P.P. Johri and Late.Ustad Hafeez Ahmed Khan of Rampur Sahaswan Gharana. Along with Khayal Gayaki, her versatility encompasses Classical Music, Thumri, Dadra, Sufi, Ghazal, Geet, Bhajans and playback singing. Uma is the recipient of numerous awards such as Pt.